In the coming year 2018, social media is ought to create even more benefits as norms of social media change and as a number of new technological advancements go mainstream. In the coming year, 2018, brands and their respective digital marketing companies in Mumbai will have to step out of their comfort zone and focus on messaging apps. Today a lot of people worldwide use messaging apps for communication, therefore, chatboxes will enable businesses, both big and small, to offer personalized experiences to customers. Video marketing trend will continue to rise in 2018 as well. Videos tend to receive more organic views in comparison to photos – and this doesn’t seem to be slowing anytime soon. Therefore on social channels like Facebook, the importance of video content is rising massively. So, if you aren’t using video marketing to promote your online presence, it’s time that you make sure it’s part of your 2018 social media campaign. Mobile optimization has been an industry practice for savvy marketers for a while, hence if social platforms like Facebook is not being accessed by the vast range of mobile users, brands will fail to distribute and spread their content. With more and more number of users being involved in the social media from their smartphones every minute, the content available on the social media should also be highly mobile friendly. Influencer marketing is also known as influence marketing, wherein the focus of marketing is placed on influential people rather than spreading it across the targeted market. Social media influencers help increase your reach and boost the brand reputation. 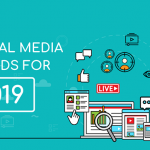 When you and your social media company in Mumbai start working with key influencers – it will not only bring a rise in engagement but will also increase your reach and boost the brand image. Social media companies in Mumbai should begin to recognize this and needs to change their social media strategies accordingly. Brands are sure to expect great ROI with this change in focus. Spenta Digital Media is one such online marketing company in Mumbai that aims to prepare for 2018 marketing trends. Professionals at Spenta Digital clearly know what will trigger better brand reputation and will offer services accordingly, as per the trend.